Durham captain Cameron Bancroft said he thought about quitting cricket during his ban for ball-tampering but would now “love” to play for Australia again. “It was a very challenging time for me and at that point you can’t really see how you’re going to come out the other side,” he told BBC Newcastle. Smith admitted that the side’s “leadership group” had devised a plan to tamper with the ball, and Cricket Australia’s investigation found Warner instructed Bancroft how to carry it out. 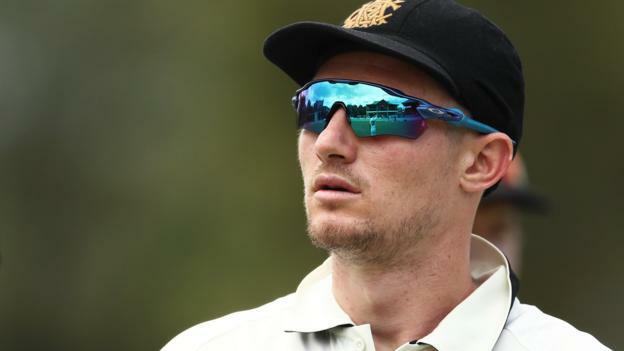 Bancroft said it was “his aspiration” to play Test cricket in the future, but his focus at the moment was to enjoy the game. “You keep taking steps forward and here I am now and I’m playing cricket again and enjoying every minute of it,” he added. “I look forward to getting to know the members and connecting with them. I’m sure if there are people out there that feel uncertain, I’d love to sit down and talk to them,” he said. “I’m a greater person after the mistakes I’ve made in my entire life, like we all are, so you grow and you move forward.